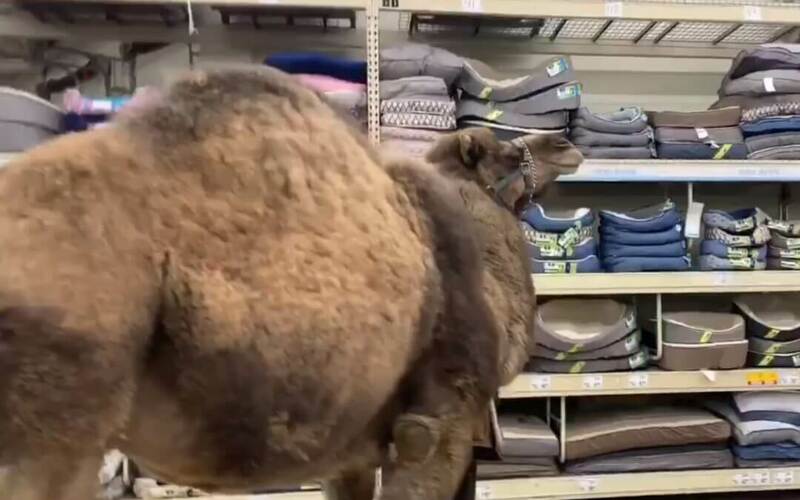 Shoppers at a PetSmart in West Michigan received a surprise visitor when a man strolled up with a camel. WDIV reports that Jeffrey the camel stepped inside a PetSmart store in Muskegon, Mich. over the weekend. Jeffrey belongs to Lewis Farms & Petting Zoo. The group posted a video of the outing on their official Facebook page. It was not a random trip for Jeffrey. His trainer needed to weigh him on a commercial scale so that they could determine the correct medication dosages. I hope Jeffrey got a KONG before they left the store.